This comfortable apartment is located right on the beach. It has a terrace and a garden. The communal grill helps to assure a cozy atmosphere. We, our family Dunja Duwe and our team on the ground in Porec, offer comfortable apartments for our guests. The easy accessibility of the Istrian peninsula has brought us more than 20 years ago prompted as our second home to settle down in Porec. Our children are here 'big' and become the dream of the 'private terrace with sea view' could be realized soon. Our guests and friends enjoy today 'holidays' from Mediterranean ambience combined with Western European comfort. 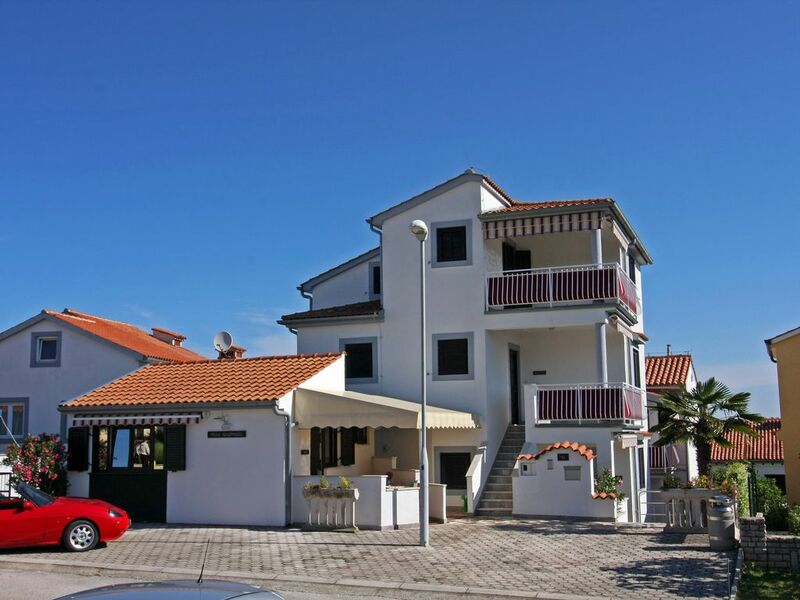 Villa California is located in the prime location of Porec. Old Town, center, beach areas and sports fitness and wellness centers are within walking distance in minutes. Enjoy the varied range of Porec and Istria in Croatia their holiday. Porec is situated in one of Istria's most favorite tourist regions. You'll find sports, leisure time activities and cultural programs here.